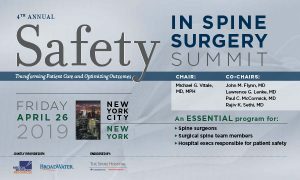 Welcome to the Safety in Spine Surgery Summit video library. Here you will find videos from these meetings, categorized by year. Please click the year you would like to view, below.